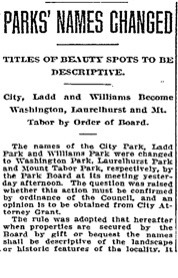 Renewed efforts are being made to have the Mayor and members of the Park Board designate the name "Mount Tabor" for the part at that place, instead of Williams, as it is known now. The Board, at its session yesterday afternoon, took no action but decided to consider the subject. 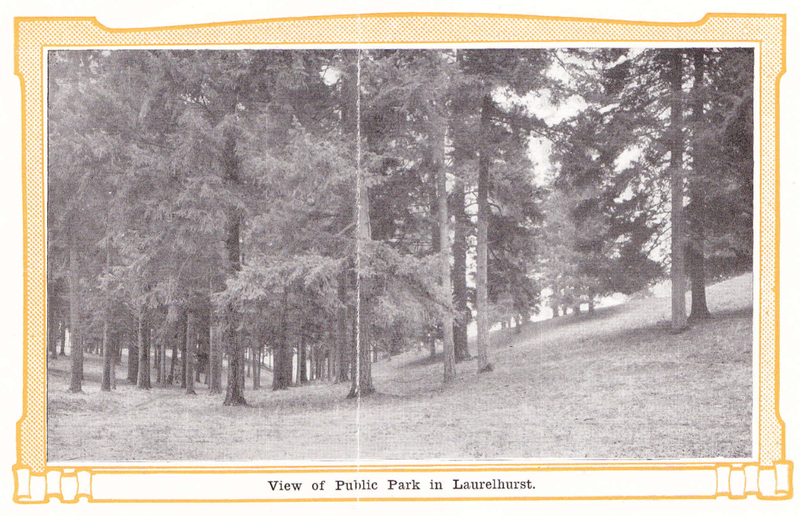 Suggestions were made to the Board that it name what is known as Ladd Park "Laurelhurst Park,"[emphasis added] and a new name is wanted also for the City Park. Some suggested Jefferson and others Lewis and Cark. 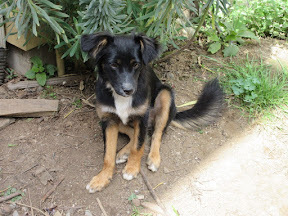 No new names were adopted. The Park at Mount Tabor was named Williams in honor of the late George H. Williams, one of Oregon's most illustrious men. 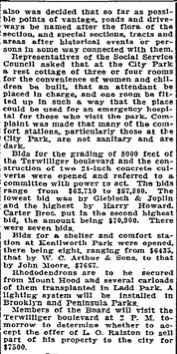 In Joseph Simon's term as Mayor, he suggested that a park be named after Judge Williams, as a tribute of the city to his memory, and the Board designated the one at Mount Tabor. Park Superintendent Mische recommended to the Board yesterday that an assembly building be erected at Peninsula Park, at a cost of $18,000. 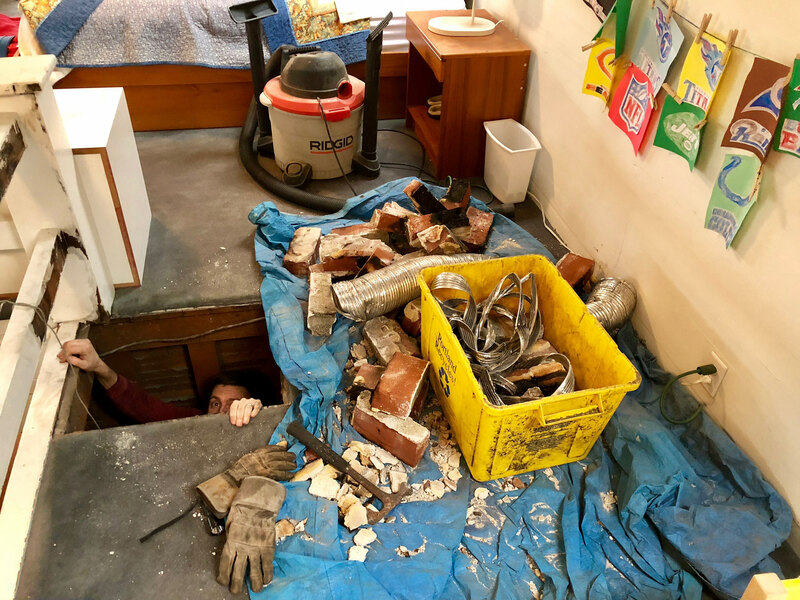 Mayor Rushlight declared the difference in the price of property now and what it will be by the time another bond issue is floated will warrant the Board in postponing construction of such a building until after districts now devoid of parks are supplied. A committee was appointed to arrange for the band concerts be given this summer, beginning about July 1. It was suggested that a portable shell be constructed for these concerts. Arrangement were made yesterday with the officers of the Greater Portland Plans Association to show the Bennett plans for the "City Beautiful" in the auditorium of the Sunnyside schoolhouse next Wednesday night. C.B. Merrick and others will be present to explain the views thrown on the screen. 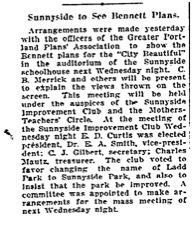 The meeting will be held under the auspices of the Sunnyside Improvement Club and the Mothers-Teachers' Circle. At the meeting of the Sunnyside Improvement Club Wednesday night E.D. Curtis was elected president, Dr. E.A. Smith, vice president; C.J. Gilbert, secretary; Charles Mautz, treasurer. The club voted to favor changing the name of Ladd Park to Sunnyside Park, and also to insist that the park be improved. [emphasis added] A committee was appointed to make arrangements for the mass meeting of next Wednesday night. 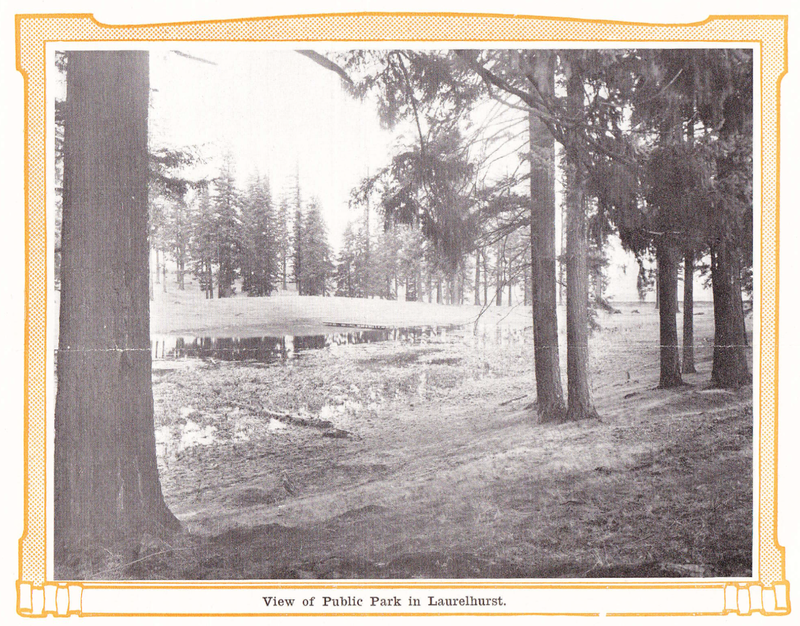 The names of the City Park, Ladd Park and Williams Park were changed to Washington Park, Laurelhurst Park and Mount Tabor Park, respectively, by the Park Board at its meeting yesterday afternoon. The question was raised whether this action must be confirmed by ordinance of the Council, and an opinion is to be obtained from City Attorney Grant. 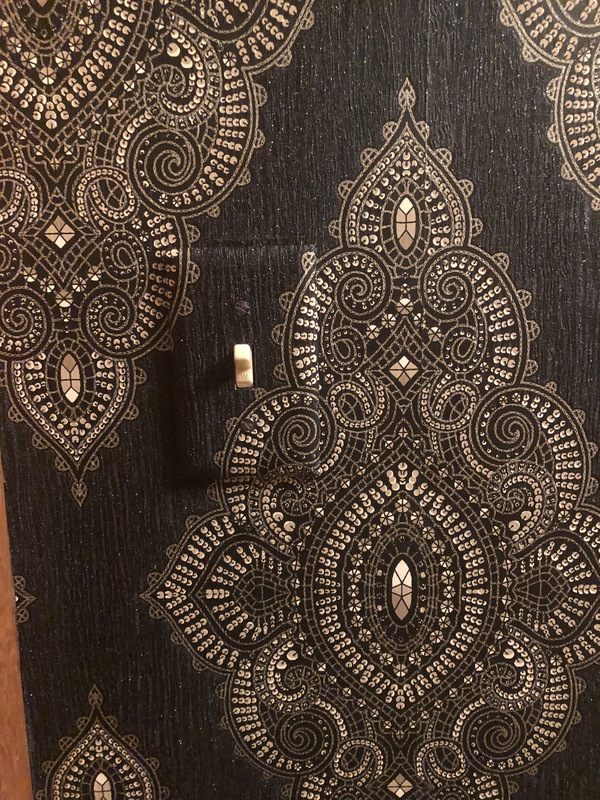 The rule was adopted that hereafter when properties are secured by the Board by gift or bequest the names shall be descriptive of the landscape or historic features of the locality. It also was decided that so far as possible points of vantage, roads and driveways be named after the flora of the section and special sections, tracts and areas after historical events or persons in some way connected with them. Representatives of the Social Services Council asked that at the City Park a rest cottage of three or four rooms for the convenience of women and children be built, that an attendant be placed in charge, and one room be fitted up in such a way that the place could be used for emergency hospital for those who visit the park. Complaint was made that many of the comfort stations, particularly those at the City Park, are not sanitary and are dark.